We are Mount Desert Island residents, businesses and municipalities working to achieve energy independence by 2030. Help us reach our short-term goal of 200kW on new solar generated electricity on MDI. The more people who sign up to install solar at their homes and businesses before July 15, the larger the discount for all. Pricing comes in five tiers, Tier 5 is the lowest price that kicks in when we get contracts totaling 200 kW. Less that one month into program, we are already up to Tier 3. Help us save you over $1,000 plus get a 30% tax credit. Click on the Solarize MDI logo above to sign up for a FREE site visit with ReVision Energy. You can learn more about the solar potential of your home or business, about investing into a solar farm if your site is not desirable, and/or about energy efficient heat pumps ($500-750 rebates) powered by the sun to heat your home or water. Even if your electric bill of $95 stayed the same for the next 10 years (very unlikely) you would pay $11,400. Get a 10 year Home Equity Loan @ 4.74% = $103/month and you would enjoy free carbon free electricity for years afterwards! Have a larger electric bill? Save even more! Are you a business owner? With these low prices and accelerated depreciation, this is a very wise business investment. If you are seriously interested in the possibility of making the switch to fossil-free solar electricity this year, please SIGNUP FOR A FREE SITE VISIT HERE or call ReVision Energy at 207-589-4171 to learn more..
Over 40 people came to learn how to start and manage a backyard compost pile. They gained insight into the benefits of composting as a waste reducing strategy and a rich, soil-building resource. A Climate to Thrive assembled a team of local farmers, educators and gardeners to share their know-how and experience. Rose Avenia and Steve Gabel-Richards. They talked about their projects on the farm and in the schools. You can still sign up to purchase “The Earth Machine” (a backyard composting bin) for 1/2 price ($55) or order a rain barrel - click here to download and print a form. With support from Emera Maine, ACTT organized a campaign to replace over 2,500 incandescent light bulbs with LED equivalents. The bulbs use 80% less energy and last 20 times longer. This translates to energy savings for our community of $25,000 annually and a reduction of our carbon emissions by 220,000 pounds per year! The free LEDs are a first step to help MDI residents focus on energy efficiency. 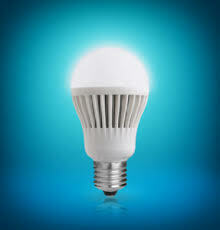 The ACTT Building Efficiency Committee will be giving out six free soft-white 60 watt equivalent LED light bulbs to those who vow to replace six incandescents in their homes in new venues to be announced. The special event, Driving Ahead, Electric Vehicles: What You Should Know and Why it Matters that was a collaboration between A Climate To Thrive, the Museum, and the College of the Atlantic. It attracted over 65 people on Saturday, April 8. Participants came to test drive a 1913 Solar Car as some of the latest the EV market has to offer! Speakers included Raney Bench, Executive Director of SCAM who spoke on the History of the Electric Vehicle, and Ken Colburn and Barry Woods who talked about the tremendous growth of the electric vehicle market and the technological changes in batteries and vehicles that will bring enormous efficiencies to the transportation sector that currently accounts for 40% of greenhouse gas emissions. What Does Zero Waste Have to Do With Climate Change? Reducing waste is one of the most powerful things we can do to protect our planet from climate change. In the U.S., 42% of greenhouse gas emissions come from the production, transport and disposal of our household goods and food. Reducing waste decreases the amount of fossil fuels used to produce, transport, AND recycle, burn or bury. It also saves a lot of money, creates jobs and allows us to be more independent. Getting as close as we can to zero waste is an important part of our plan to achieve energy independence on MDI by 2030. The great thing is that it is doable! Nantucket started an ambitious composting and recycling program ten years ago when their landfill was getting full, and they are now composting and recycling 92% of their waste! MDI has a high percentage of nature lovers and environmentalists, but our recycling rate is especially low - only 13%. Part of A Climate to Thrive’s vision is that all MDI organic waste will be diverted from our waste stream, composted, and used to enrich our soil. We will be holding home composting workshops this Spring and are working with towns to increase recycling rates & set up re-use centers; replace plastic water bottles with refill stations in businesses and the park; transition away from plastic shopping bags and polystyrene take-out containers (which are not recyclable); and highlight the green practices of local businesses. If you have ideas, questions or want to get involved, please contact the Zero Waste Committee. Help us learn about what’s happening and what’s needed on MDI - take the Zero Waste Home Survey.